Save the dates! Mark your calendars! Here are some notable events and social gatherings you wouldn't want to miss. Send inquiries, corrections, or suggestions through this contact form. 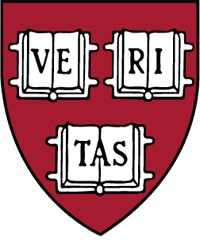 For more happenings check Harvard+ Events. It is my honor to invite you as a Harvard Extension School current degree candidate to attend Harvard Extension School's Inaugural Convocation on September 29, 2018 from 2PM-5PM in Harvard Yard. The Convocation will serve to welcome and celebrate admitted degree candidates, providing you with an understanding of the values, history, and community of Harvard Extension School. This is a special opportunity to join the Harvard Extension School community as we convene to celebrate your candidacy. We will gather in Memorial Church for the Convocation Ceremony from 2PM-3PM with special guest Fernando Reimers, Ed.D. as our Convocation keynote speaker. Following the Convocation Ceremony, proceed to a Reception in the Science Center Plaza Tent from 3PM-5PM. This event is free for you and two guests. Registration is required. NOTE: THIS EVENT HAS SOLD OUT. The 2018 Harvard Latinx Graduation Ceremony will take place on Wednesday, May 23, 2018 on the Harvard campus (final location TBA), from 7:00 p.m. to 10:00 p.m. Preliminary Details: The celebration includes an official graduation ceremony, reception, and live music. We anticipate being able to accommodate up to 4 complimentary tickets, with a suggested donation of $5 for additional tickets. There is a $20 celebratory fee for all graduates, which goes towards the purchase of our Harvard Latinx Graduation stoles, venue, food, and live music. We look forward to celebrating our shared Latinidad, orgullo, and accomplishments with you and your family. Just a friendly reminder that the deadline to register for graduation is on Friday, May 4th, 2018, at 5:00 p.m. Get your registration info in ASAP! This is going to be a graduation you and your familia will not want to miss! The Global Case Competition at Harvard is the world’s most prestigious student-organized case competition. This year's competition is organized by the IFSA Network and the Harvard College European Business Group. The case will be released on February 12th. Our goal is to bring together the best students of economics and finance throughout the world, and to offer them fantastic opportunities: to meet like-minded individuals, world leading institutions, and renowned guests. For this third edition of the competition, all participants will enjoy a meet and greet reception, networking in Boston, and two days of case solving at Harvard University in Cambridge, Massachusetts, before ending the weekend with a first-class closing ceremony. Visit www.harvardcasecompetition.com for further information, or follow Global Case Competition at Harvard on Facebook. Network with nonprofit and mission-driven organizations that span a range of fields, including government and education. Find an internship, job, or career that will make a positive social impact at all levels, and become an agent for change at the Social Impact Expo. Eligibility: Open to ALL Harvard University students. For more information, visit https://ocs.fas.harvard.edu/socialimpactexpo. Co-sponsored by: Harvard FAS Office of Career Services (OCS), and Harvard Graduate School of Education (HGSE).